The conditions on Venus are hard to describe. Many planetary scientists say "Start by imagining Hell and working up from there." It's an environment where words like "over 500 degrees Celsius" get thrown around, and it's flat-out crushed every probe we've sent into it. Now, it looks like Venus (NASA image above) has some company beyond our solar system. As part of the PlanetS National Centre of Competence in Research (NCCR), astronomers from the Universities of Geneva (UNIGE) and Bern, Switzerland, have come to measure the temperature of the atmosphere of an exoplanet with unequaled precision, by crossing two approaches. The first approach is based on the HARPS spectrometer and the second consists of a new way of interpreting sodium lines. 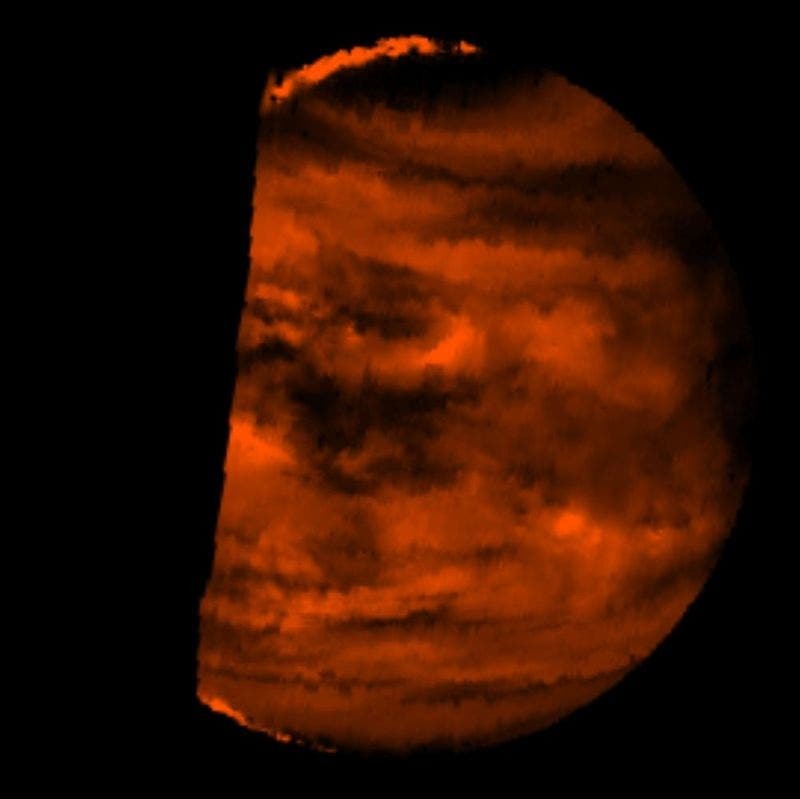 From these two additional analyses, researchers have been able to conclude that the HD189733b exoplanet is showing infernal atmospheric conditions: wind speeds of more than 1000 kilometres per hour, and the temperature being 3000 degrees. These results open up perspectives to approach the study of exoplanet atmospheres. Stunning Einstein Ring Captured by ALMA/Hubble –"Reveals Secrets of Nature"